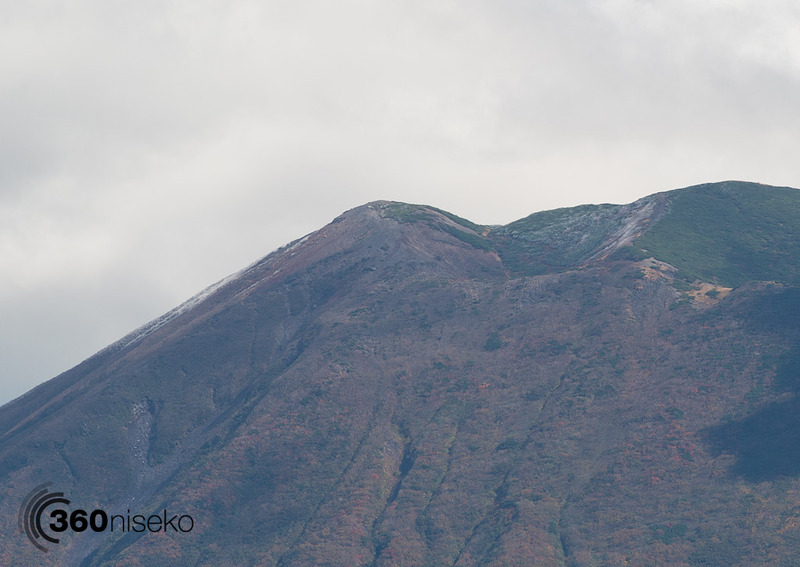 Overnight Mt.Yotei was dusted in a light covering of snow for the first time this autumn in the lead up to the 2014 winter season! *click on the images to view them at a larger size. 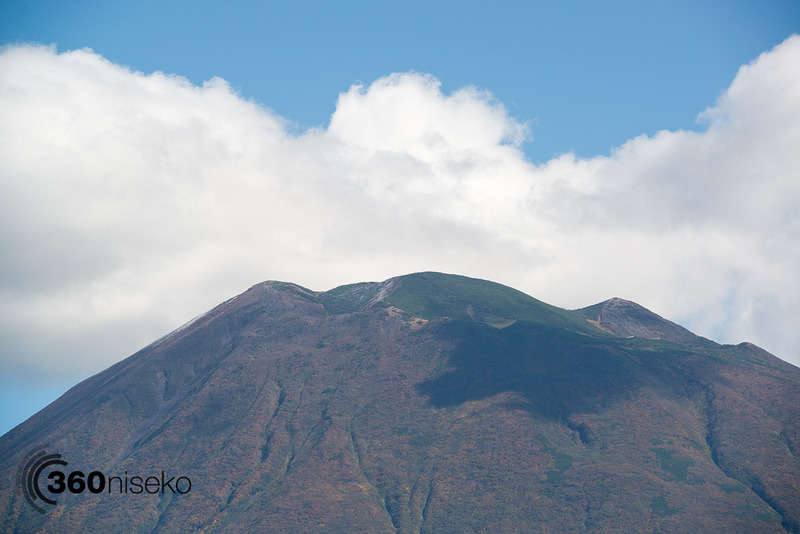 Last night the freezing level dropped to 1850m just low enough to turn some of the recent rain to snow on the top of Mt.Yotei. In Hirafu village the temperature dropped to 6 degrees. This first dusting of snow is 3 weeks earlier than last year when we reported the first dusting of snow on Mt.Yotei on the 18th of October. 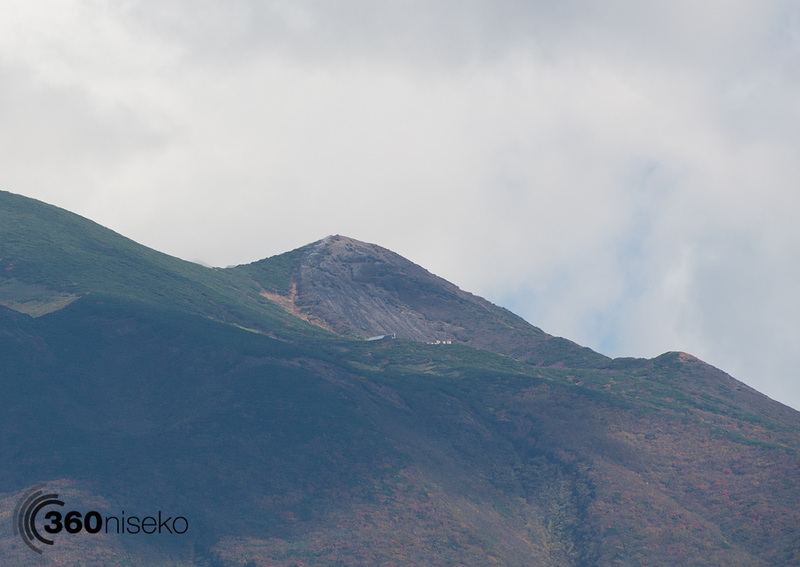 These shots were taken at 12:40 today from Hirafu village and we expect the snow to disappear before too long. Any stats on how the snowfall from last year measured up to years previous? We were there in March and had some amazing falls – seemed that last spring was better than normal? It was certainly an epic season last year. We have a few surprises coming up with our snow data that we will publish next week. Thanks for following the blog and hope you are coming back this season!